Scrapping With Characters: More MIckey! I used some chipboard pieces for the banner. 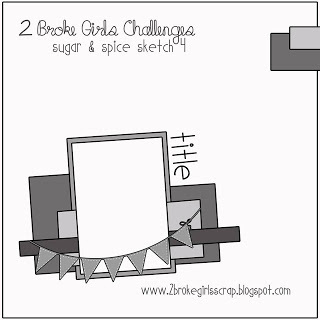 And here is the last sketch from the 2 Broke Girls Sketchathon!! This page is FABULOUS !!! LOVE that banner!!!! What a great job with the sketch!! Thanks for playing along in our Sketch A Thon!! !